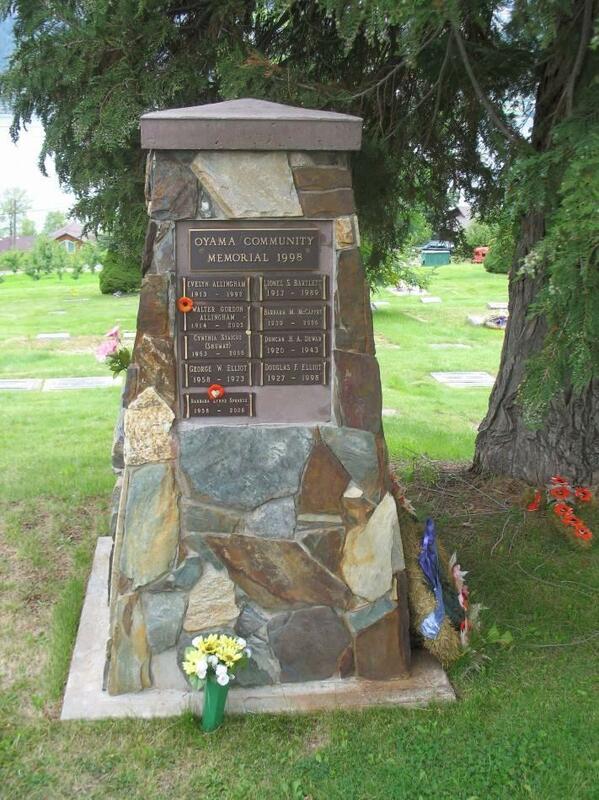 The following is a transcription of Oyama Community Cemetery located in Oyama, British Columbia, Canada. Latitude: 50o 05' 52.29" N.
Longitude: 119o 22' 04.37" W.
The property was formerly owned by the Reverend A. Despard, who donated the land to be used as a cemetery. Reverend Despard's final resting spot is located at plot D13 in the cemetery. 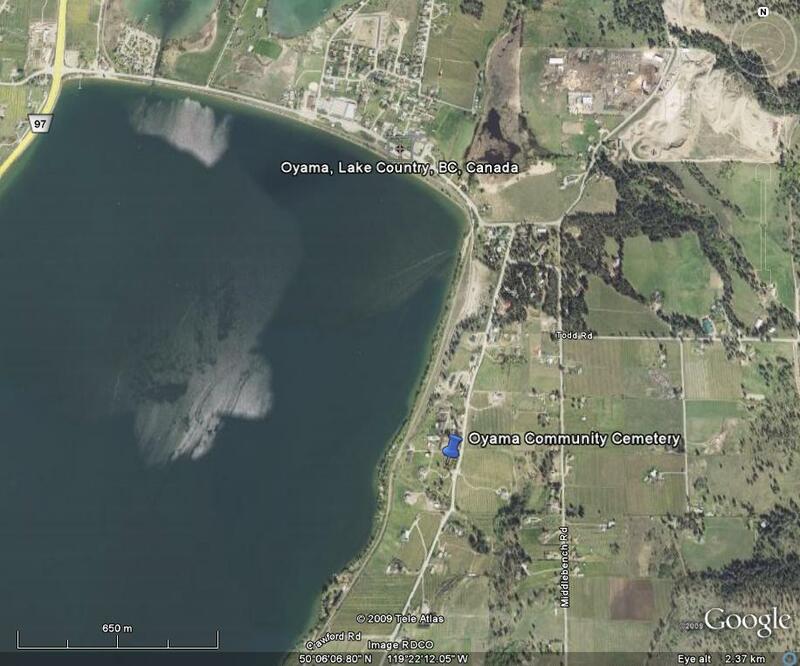 On December 5, 1955, the Oyama Community Club was granted the Oyama Cemetery property which had belonged to The Diocese of Kootenay. The house to the north of the cemetery was once used as the Rectory. Reverend Adam Lett and his wife Florence, both buried in this cemetery, lived there at one time. There is a wrought iron entrance arch on brick posts. 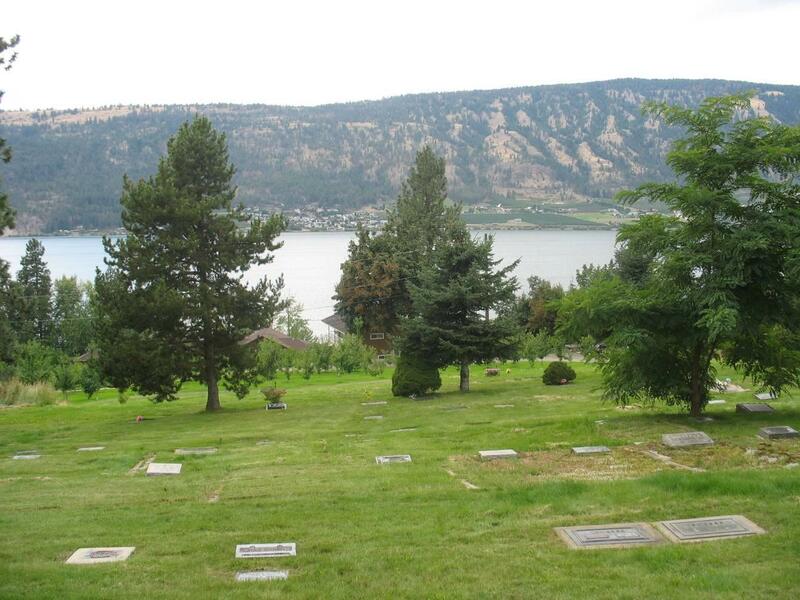 The cemetery slopes towards Kalamalka Lake making it a beautiful peaceful setting with trees and shrubs surrounding the property. It is very well maintained public cemetery. The civic address of the cemetery is 14800 Oyama Road. It has approximately 300 level graves, laid out in 11 rows with a variety of markers including slate, marble, and concrete. Near the entrance to the cemetery is a large rock memorial cairn (left). A listing of the people on this cairn can be found here. 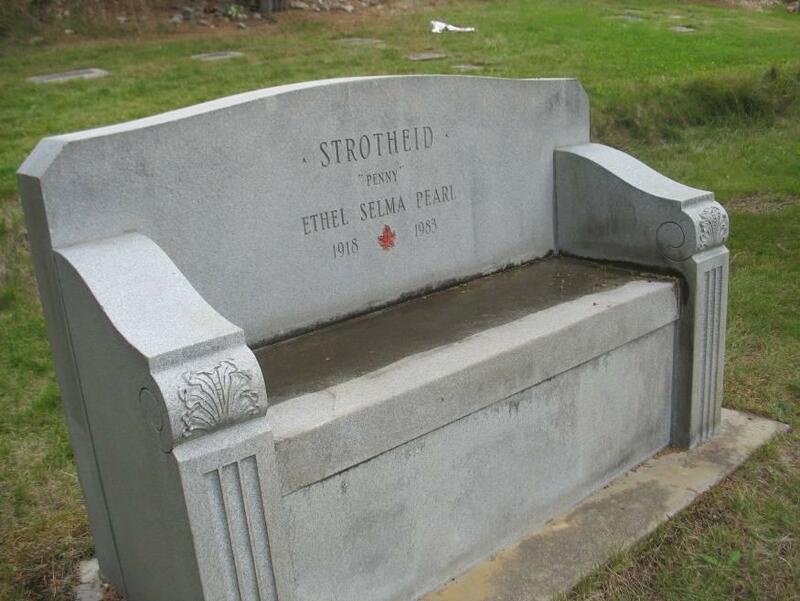 Another memorial in this cemetery is a concrete bench (above) with the name Ethel Selma Pearl (Penny) Strotheid (1918-1983) engraved on it. 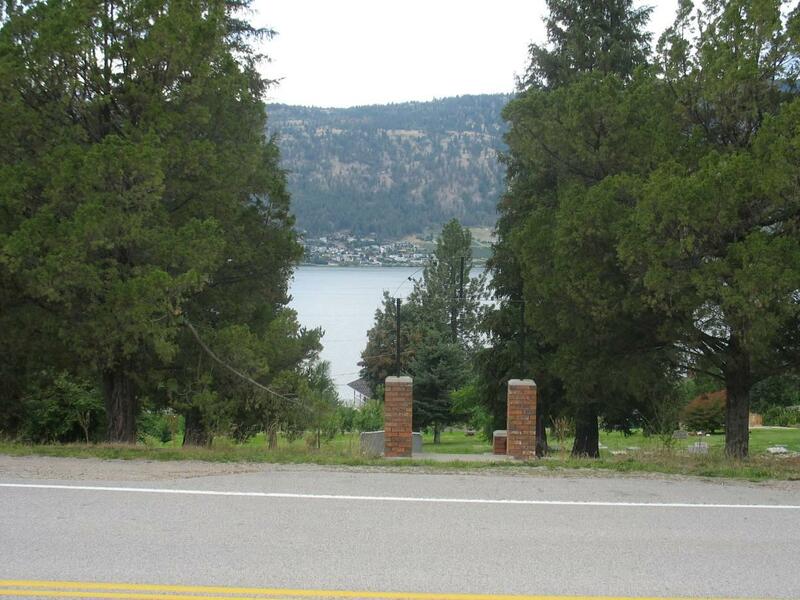 The Oyama Community Cemetery is located on Oyama Road in Oyama and is readily accessible from Highway 97. Turn east onto Oyama Road from Highway 97 and proceed for 2.7 km to the 14800 block of Oyama Road.